Today Legit Reviews is going to give one of ASUS’ luxury motherboards a good critiquing. The ASUS P5GD2-Premium is based off Intel’s i915P chipset and sports the usual when this chipset is used: PCI Express, DDR2, SATA, etc. However, I have not yet mentioned that this is the Wireless Edition and also includes 8-channel Dolby Digital Live onboard audio, FireWire 800 (IEEE 1394b), Dual Gigabit LAN, Triple RAID, and support for up to 12 SATA Drives! 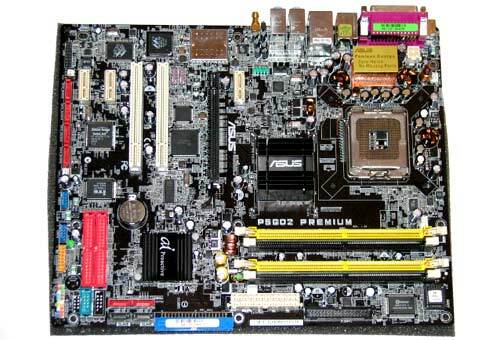 Backed by ASUS’ 3 Year Warranty, this board looks to be the Cadillac of motherboards! Throughout this review, we will notice that there are sacrifices one has to make to claim all these supported features at once. 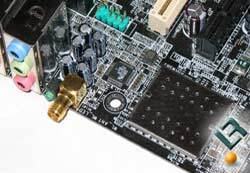 The longer the circuits on the motherboard are increases the latency (time it takes for data to get from one device to another) or performance of the overall device. Is this increase in latency a big deal? We will find out! 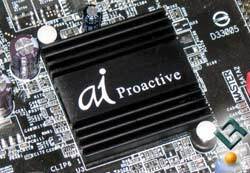 The AI Proactive technology was developed by ASUS to make their motherboards smarter, faster, cooler and easier for the user. This AI Proactive feature consists of 4 parts: Stack Cool, AI NOS, AI NET2, and WiFi-g. In the next section, I go into more detail about what each of those technologies mean and how they work together to benefit the system. Product Give-a-way for LEGIT FORUM MEMBERS! We will be giving this board away in 7 days! See our conclusion page for more details!